leBipBip+ Solar powered Audio Vario from Stodeus. Ideal for lightweight hike and fly or as a reliable and simple back-up vario. Weighing only 27grams on our scales and easily fitting within my closed hand, the leBipBip+ is very small and light. The tiny vario comes in a nice presentation box with a card quick start manual with easy to follow illustrated instructions. You also get a couple of rectangular strong self-adhesive Velcro patches to mount the vario on your helmet of other flat surface. These patches could be cut in half and still provide full Velcro stick. Using the vario is easy, a good press of the single button turns it on. further presses change the sound volume, if you turn the volume off then the LED light flashes as the vario enters lift. Turning the unit off requires a single two second press. One of the key features of Stodius instruments is that they are powered by solar panels. leBipBip+ also has an integrated li-ion battery which is being charged all the time the unit is exposed to light, even when turned off. 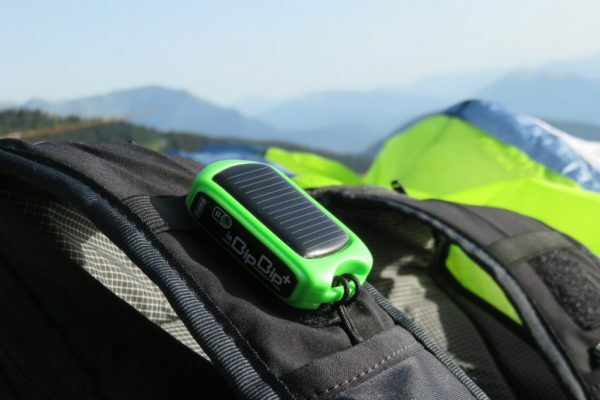 This ensures that it has enough power for up to 100 hours of continuous use, even if the solar panel is shaded. The units are customisable, flexible in use come with a comprehensive two year warranty and in case of damage or malfunction as they get older, the instruments are easily repairable with cheap user replaceable spare parts. We were attracted to the Stodius brand after meeting them at St Hilaire last year. We have been aware of their products for a while but with the introduction of the new + models, Stodius seem to have come of age offering mature, well sorted instruments that are built to last. The company owners are passionate about paragliding, about providing sustainable products, supporting local social enterprises and providing excellent support. Stodeus is a small company that design, manufacture and assemble their instruments near Grenoble in the French Alps. 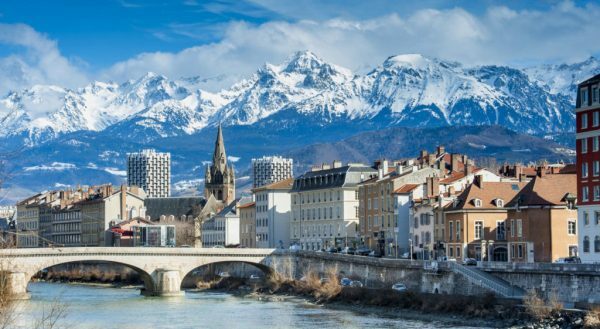 The instruments are manufactured at APF ENTREPRISES in Grenoble, a socially responsible company set up in collaboration with the “Association des Paralysés de France”, the company employs disabled people in the competitive marketplace.